APEX Cutting Tools believes in supporting our customers through the entire life of our tooling, this includes reconditioning the tools and cutters we make. 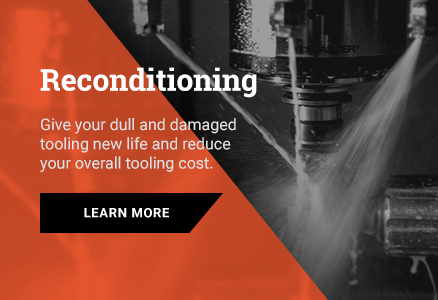 Our reconditioning service will allow you to reuse your dull and damaged tooling giving them new life and reducing your overall tooling cost. Properly reconditioned cutting tools can greatly enhance the value of the tooling investment. APEX Cutting Tools uses Klingenberg to certify its regrinds to AGMA Standards. APEX uses a serial number identification-based hob system, tracking the wear of each hob and then recording in an excel spreadsheet for each customer. This ensures the customer is getting a full life cycle from each hob. Our unique edge preparation technique is capable of conditioning the entire tooth form for a hob cutter in a single pass, saving time and money, while maintaining the accuracy of the hob.